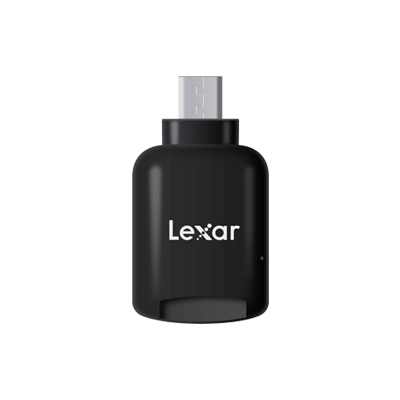 The Lexar® Professional Workflow line of products includes your choice of two four-bay hubs, along with a selection of card readers and a two-port USB 3.0 hub. Its innovative, modular design lets you create a custom setup, while its high-speed performance lets you offload your work, faster. 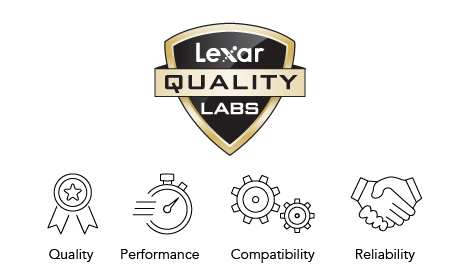 Pick and choose the right combination for your needs, and take control of your workflow. 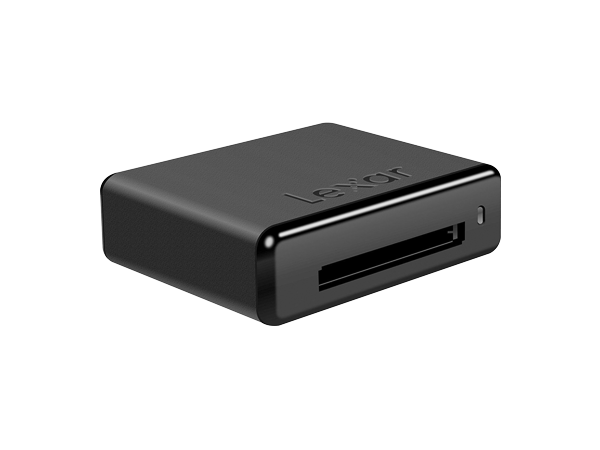 Transfer images and video from multiple memory cards at once. 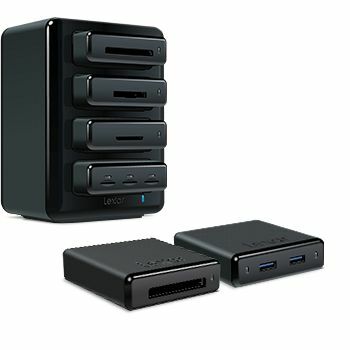 Mix and match any of the six Professional Workflow readers (supporting SD™ UHS-I and UHS-II, CompactFlash® UDMA 7, XQD 2.0, CFast™ and CFast 2.0—USB 3.0 or Thunderbolt, and microSD™ UHS-I and UHS-II formats) with the four-bay Professional Workflow HR1 or HR2 hub to create your ideal setup. 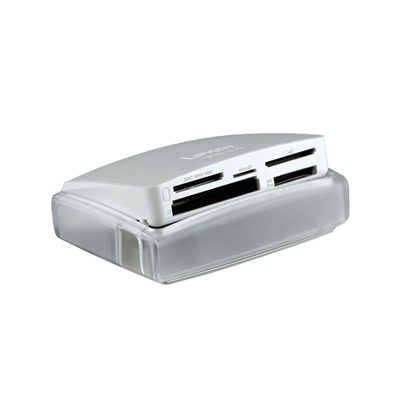 Whether you choose four of the same format or mix and match your card readers, the solution lets you transfer your images in a single click. Customize your workflow with an innovative, modular design. Whether you’re a pro photographer or videographer or an adventure seeker using a sports camcorder or aerial camera, it’s easy to create your custom workflow setup. 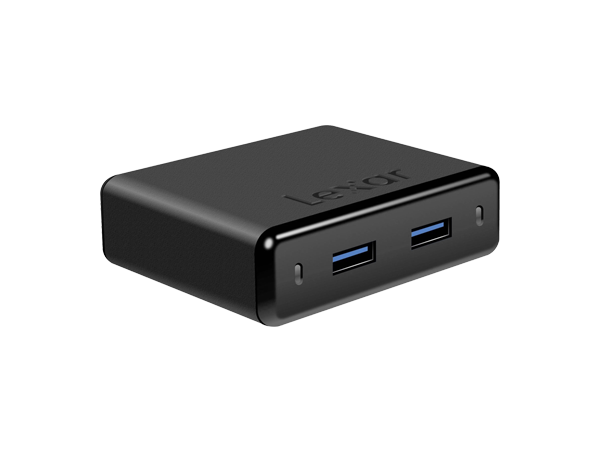 The Professional Workflow line includes your choice of a USB 3.0 or Thunderbolt™ 2/USB 3.0 four-bay hub, six card readers, and a two-port USB 3.0 hub. And for added versatility, you can remove each module from the HR1 or HR2 hub for individual use on the go. Boost productivity by connecting more devices. Make multitasking a breeze by adding the Professional Workflow UH1 to your lineup. This two-port USB 3.0 hub allows you to connect USB flash drives or readers to transfer files, or even charge devices. When used with the HR1 or HR2 hub, you can mix and match with Workflow readers, or fill the bays with multiple UH1 hubs to greatly improve productivity. 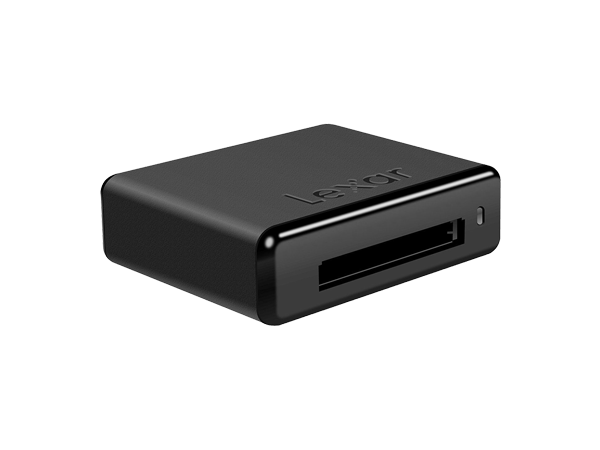 With USB 3.0 performance, it provides quick file transfer and a convenient way to increase your number of available USB ports. 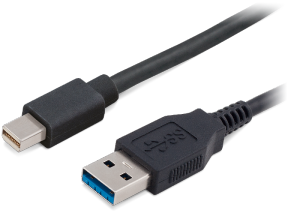 It’s also backwards compatible with USB 2.0 devices. 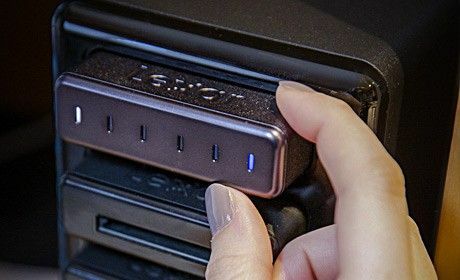 The readers and hubs leverage USB 3.0 technology for high-speed performance, while the Professional Workflow HR2 hub is also designed to deliver next-generation Thunderbolt™ 2 speeds. 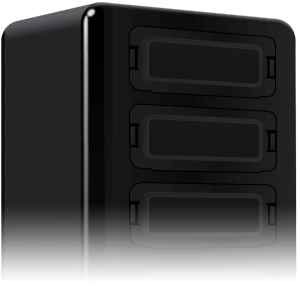 Thunderbolt 2 technology gives photographers and videographers the power to quickly transfer 4K video and other large media files, at up to twice the speed of Thunderbolt and up to 4x the speed of USB 3.0 devices. * Also, the hub is fully backwards compatible with Thunderbolt and USB 2.0 (at slower speeds), while using the same cables and connectors. This high-performance option lets you offload your work, faster. 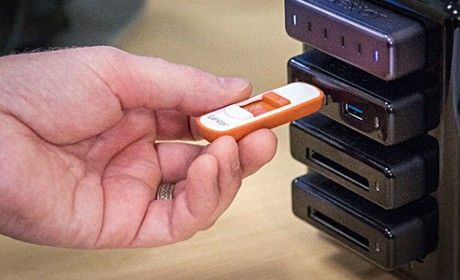 Simply plug the readers of your choice into a hub and start transferring files. It’s that easy. Also, the Professional Workflow HR2 hub provides two Thunderbolt™ 2 ports and one USB 3.0 port, making it easy to daisy-chain with your existing setup. 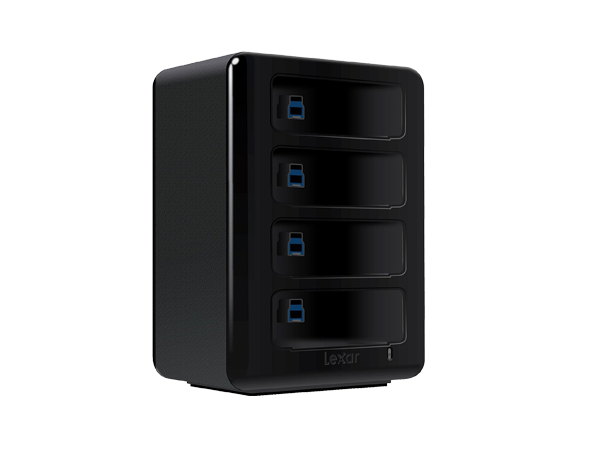 Having two Thunderbolt 2 ports also allows you to place the hub anywhere in your lineup of other Thunderbolt devices to create a unique, customizable setup. The hubs help you eliminate cable clutter and take control of your workflow. The modular design of the Professional Workflow line of products makes it adaptable to changing technology. 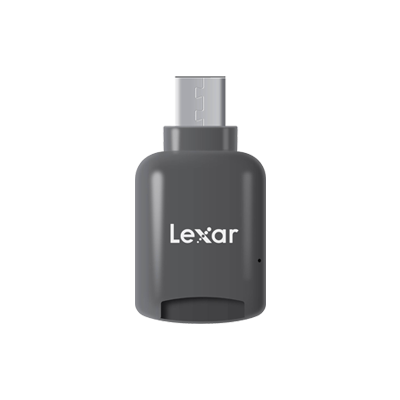 As Lexar introduces new card reader formats for this system, you’ll be able to swap in new products to meet your growing and changing needs. 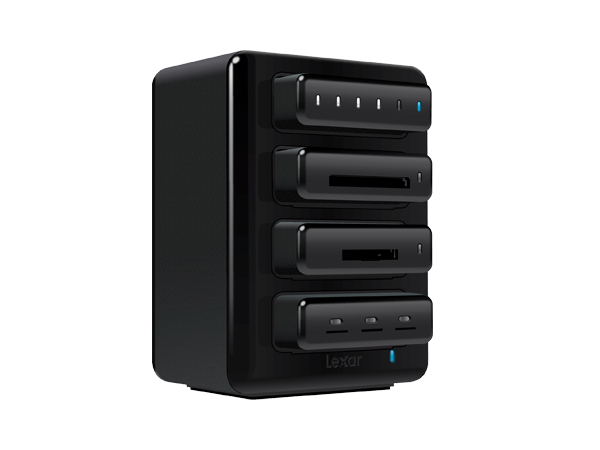 Add storage to your workflow solution. 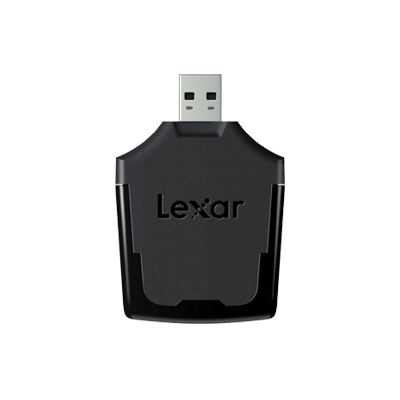 The Professional Workflow line of products easily integrates with the Lexar Portable SSD, adding a backup capability to your workflow solution. The high-speed performance of this sleek, compact drive makes quick work of storing files, and its LED capacity meter lets you check storage space at a glance. 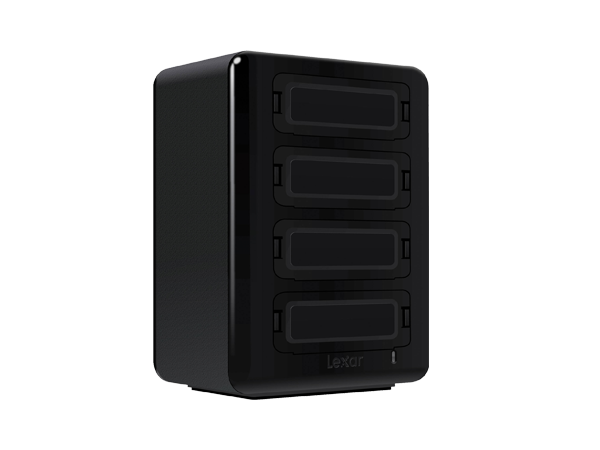 *Speed claims based on reported Thunderbolt 2, Thunderbolt, and USB 3.0 specifications.